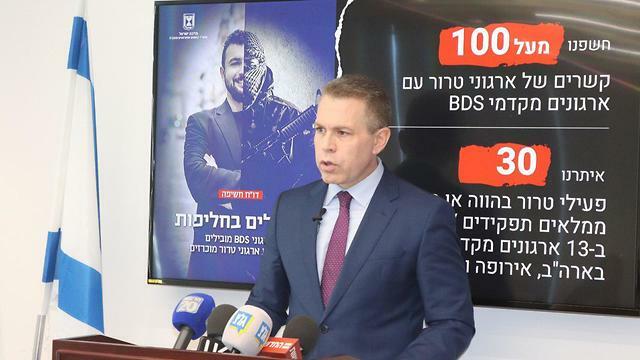 Israel’s Ministry for Strategic Affairs, headed up by MK Gilad Erdan, has launched a PR blitz with the hashtag #terroristsinsuits to tell the world that a study of 13 international BDS NGOs found some 30 terror activists hold leadership positions in these organizations. Of the 30, fully twenty of these terror activists served time in prison, some of them are murderers, and some are senior terrorists. Several American states have enacted laws to block BDS efforts, by, in effect, boycotting companies that refuse to do business with Israel. The hope is that the hashtag campaign will help awaken Americans who support BDS, Jewish and otherwise, to the fact that BDS isn’t about “freeing Palestinians from Israeli oppression” but about obliterating the State of Israel. It has never been about oppression. It has never been about human rights. It’s only about removing the Jewish presence from the Holy Land. Would that the world would see it.